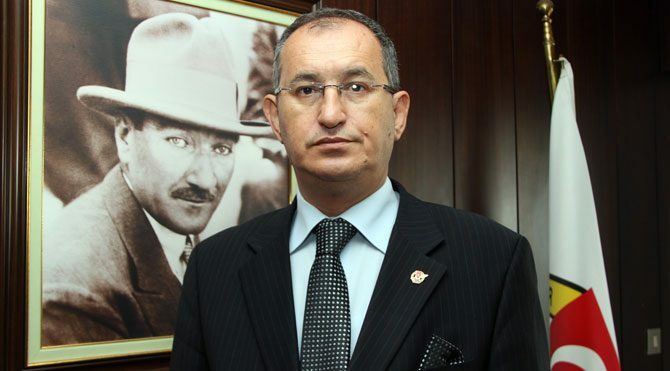 A main opposition Republican People’s Party (CHP) deputy revealed the dimensions of an ongoing government crackdown on people affiliated with Turkey’s Gülen group, which Turkish authorities accuse of attempting a coup last summer, by sharing the story of a dismissed teacher and his wife who are being held in different sections of the same prison. Speaking during a live show on Halk TV, Atila Sertel said he paid a visit to Şakran Women’s Prison in İzmir and witnessed the ongoing violations of even the most fundamental human rights. According to Sertel, a housewife named Fadime and her teacher husband were arrested and put in different sections of the same prison, while their children were sent to Bitlis province. The couple is accused of involvement in the coup attempt on July 15. “If [someone] was involved in the coup attempt… If they took up arms… And if they are personally in the loop… We have nothing to say. They are putschists and can be punished. But a housewife… As our chairman [CHP leader Kemal Kılıçdaroğlu] says: [Among those arrested] are baklava makers, coal dealers, woodsmen … housewives and people from every occupational group. Believe me, I went to that prison and I was told that… When our chairman was speaking, all the women in the cells of the prison were crying. I witnessed the same thing myself. I went to Şakran Women’s Prison where women are subjected to strip searches. They hung a banner that reads “All books except the Quran and textbooks are banned.” A rule that is not applied in any prison. After I made it public, they removed it last week. I met a woman. Her name is Fadime. She came to me with her 9-month-old baby named Merve. She has three children. One of them is 3, one is 5 and the other is 9 months. Her teacher husband was dismissed due to membership in the Eğitim-Sen union after being suspended eight months ago. He found a job at a bakery. Her house was raided [by police]. Fadime did not tell them where her husband works… Simply because she does not know which bakery he works at. They [police] called the prosecutor, and the prosecutor ordered them to detain her, too. So she was detained. And now that woman is in the women’s section of the prison, while her husband is in the men’s section of the same prison. They are not allowed to see each other because, due to prison rules, they have no such right. Two of their kids went to Bitlis, while the other is staying with the mother. There are prison cells where 15 to 16 children are staying [with their mothers]. How can a housewife become a coup perpetrator? I don’t understand,” Sertel said. Turkey survived a military coup attempt on July 15 that killed over 240 people and wounded more than a thousand others. Immediately after the putsch, the government along with President Recep Tayyip Erdoğan pinned the blame on the movement. The movement denies any involvement in the coup attempt.